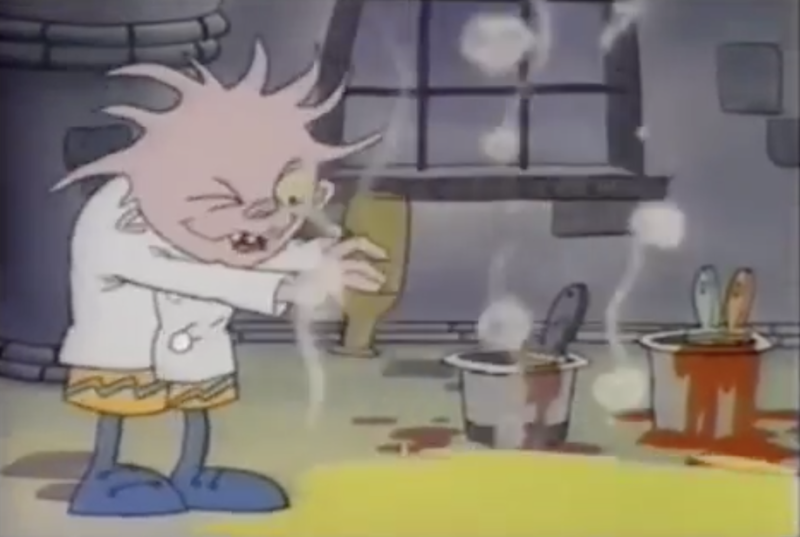 The USA Cartoon Express broke a lot of ground in the 1980s and 90s with its approach to a kids block. Tucked away on the then-still-nascent cable giant lived a one to two hour block, depending on where it was scheduled, that was all for kids. 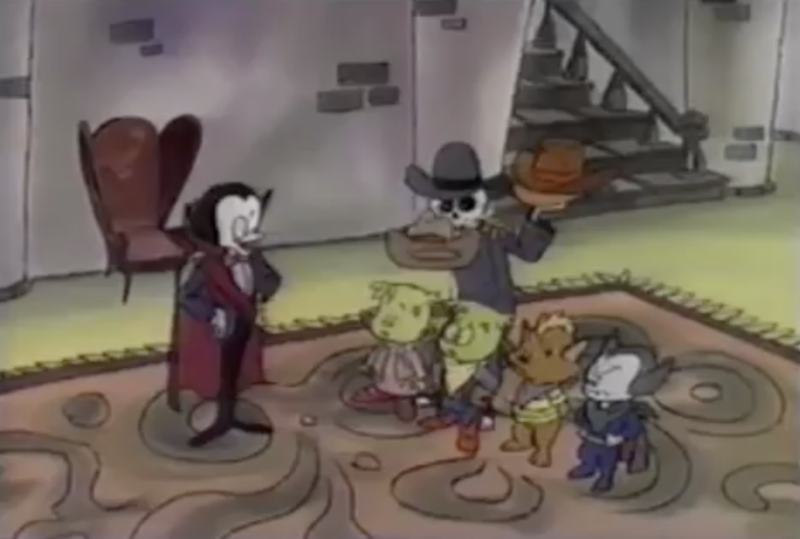 The block was a full takeover of the network, a show of its own, a train ride where the network was the conductor and the cartoons were the passengers. 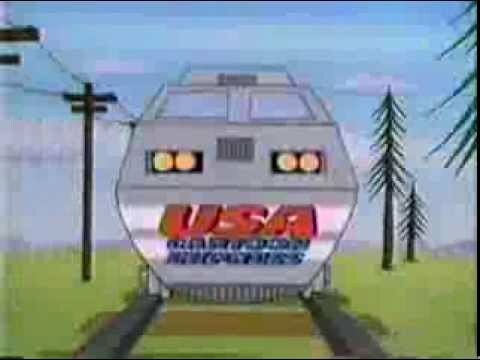 The USA Cartoon Express was a showcase for an impressive variety of cartoons; the Hanna Barbera library was a staple of the block, as were He-Man, Transformers, Alvin and The Chipmunks, and Teenage Mutant Ninja Turtles. In between those heavy hitters were more obscure titles like Mighty Max and Savage Dragon. In between those shows, in addition to the train bumps, were shorter pieces created specifically for USA. In a Minute segments featured real life and real kids answering real questions. The USA Network Kids Club gave viewers a chance to interact with the network and sometimes get featured on the block. 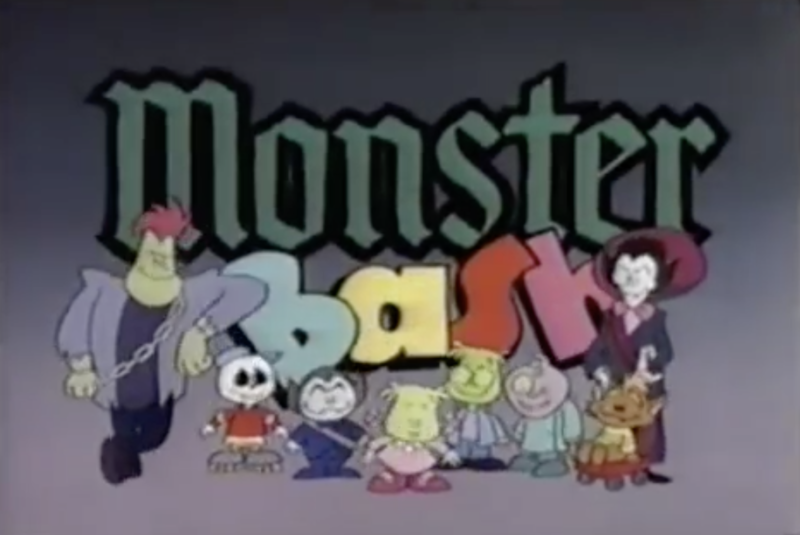 All of this, all of this could warrant its own post but since we’re getting into spooky territory here now that it’s October let’s look at a series of custom shorts called Monster Bash. 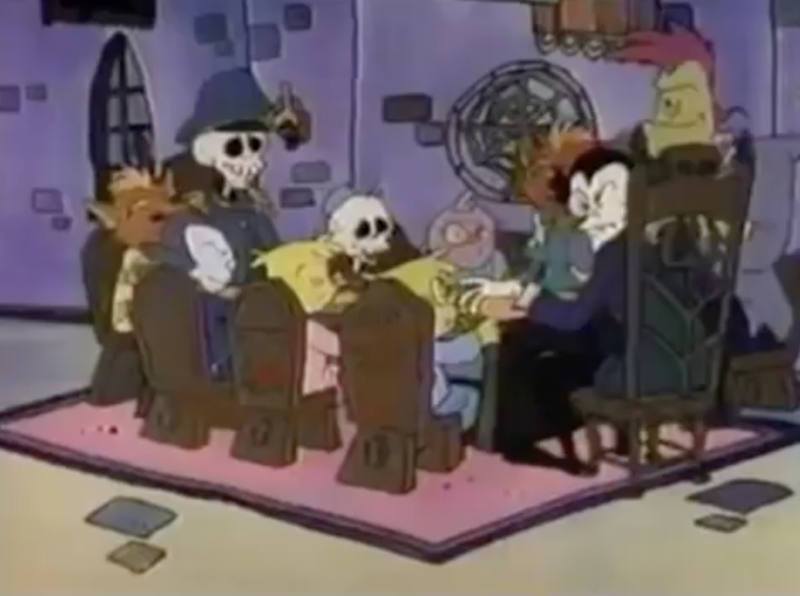 The idea of all of the different types of monsters getting together and hanging out isn’t necessarily a new one, but Monster Bash brought a (then) new idea: Dracula owned a hotel with all of the other monsters and the difficulty of maintaining a hotel with all of those other monsters made for a handful of entertaining 30-second situations. The staff are a weird mixture of adult monsters and child monsters. The guests are never shown; the stories typically center around some aspect of hotel management that the staff has to resolve, with a minimal ‘monster’ layer thrown in. 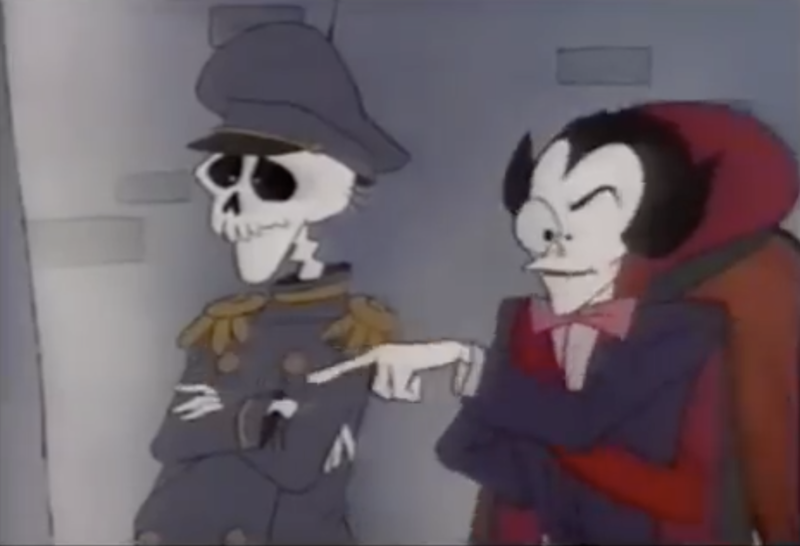 They’re pretty good gags, all in all. Check them out here!